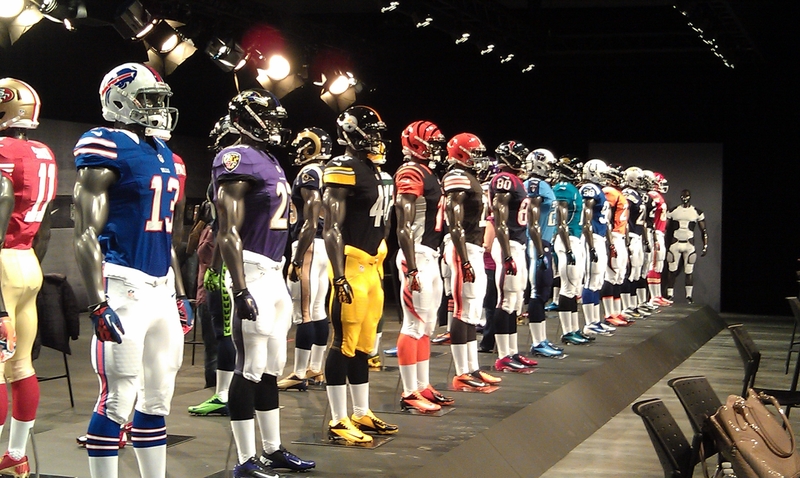 Yesterday I attended Nike’s much anticipated unveiling of the new NFL uniforms at Steiner Studios in Brooklyn, New York. After 10 years of donning the Reebok logo, NFL players will now wear the Nike swoosh in 2012. I was very curious to see how much the uniforms would actually change, hearing prior that most would look the same. Before the event, I got a sneak peek. It seemed as though every team but the Seahawks kept a similar design. Nike worked the team to give Seattle a full makeover. 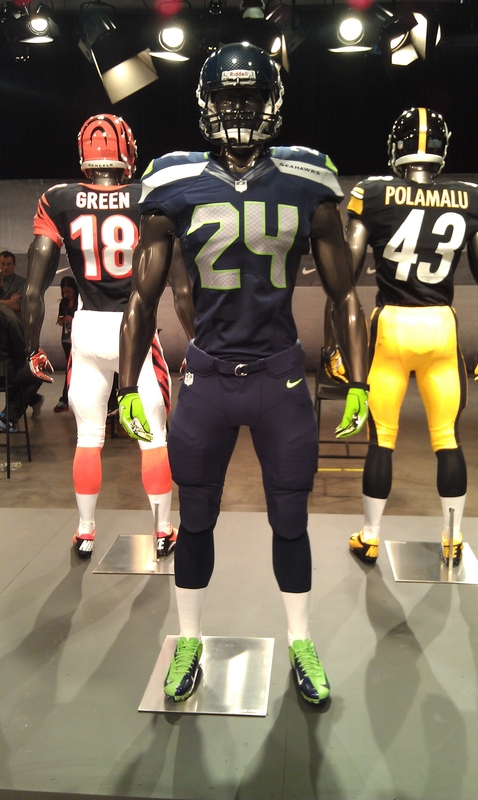 Immediately I noticed the addition of neon green, the 12 wing logos down the side of the pants symbolizing the team’s “12th man” fan base, wings incorporated in the numbers, and a meaner looking hawk on the helmet. The event kicked off with Nike officials presenting the evolutionary design of the new uniforms. The highlights included a lighter and more form-fitting jersey, a four-way stretch material and built in padding in the jerseys and pants. After a few more speakers including Giants WR Victor Cruz, Seahawks DB Kam Chancellor and Commissioner Roger Goodell, the moment arrived. 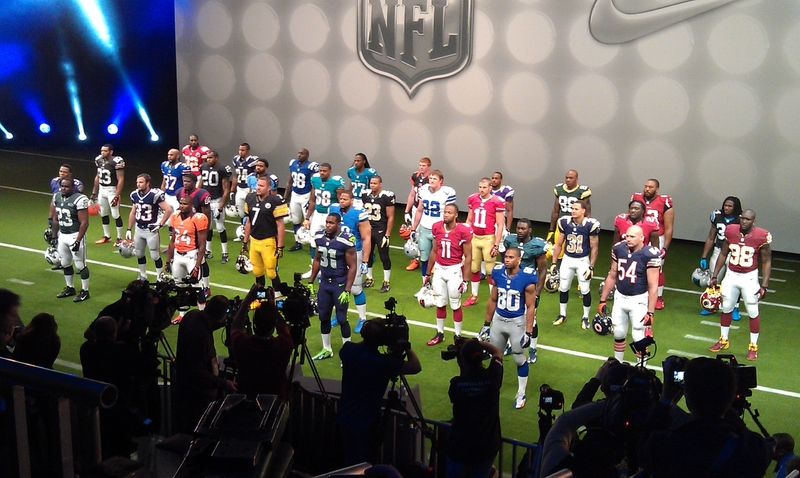 One player from all 32 teams ran out sporting the new uniforms from head to toe. 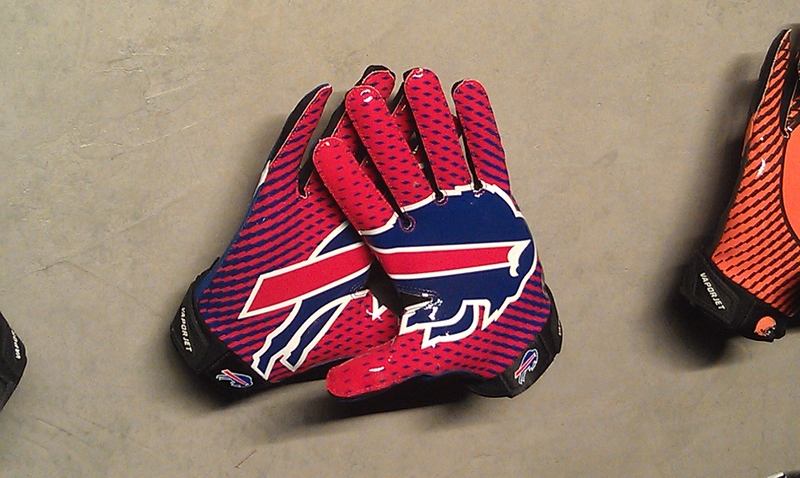 As a Bills fan, I had to snap a picture of their new garb. They redesigned their look last year so I figured that very little changes would be made. I can’t wait to see the real No. 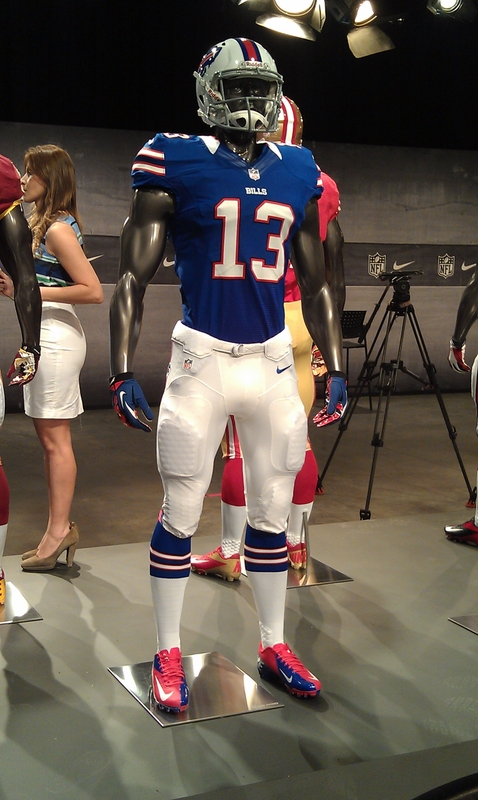 13, Stevie Johnson, making plays in the new uniforms this upcoming season.